Office Resources Announces Grand Opening of Portsmouth, NH Location — Office Resources, Inc.
PORTSMOUTH, NH (February 12, 2018) – Office Resources, Inc., a leading Knoll dealer and Boston’s premier provider of creative workspaces, recently announced the grand opening of their new location in Portsmouth, New Hampshire. Located in the heart of Portsmouth along the waterfront section of Deer Street, the office is nestled in between the variety of classical architecture. The design intent was to keep the integrity of the Portsmouth history while bringing in a fresh and modern feel, offering a variety of ways to collaborate, focus and engage as needed. The Portsmouth community is forward thinking and innovative and Office Resources is excited to add value and expand their New England presence. As a company committed to supporting and giving back in each of their markets, Office Resources is looking forward to forming new partnerships in Portsmouth and the surrounding areas. 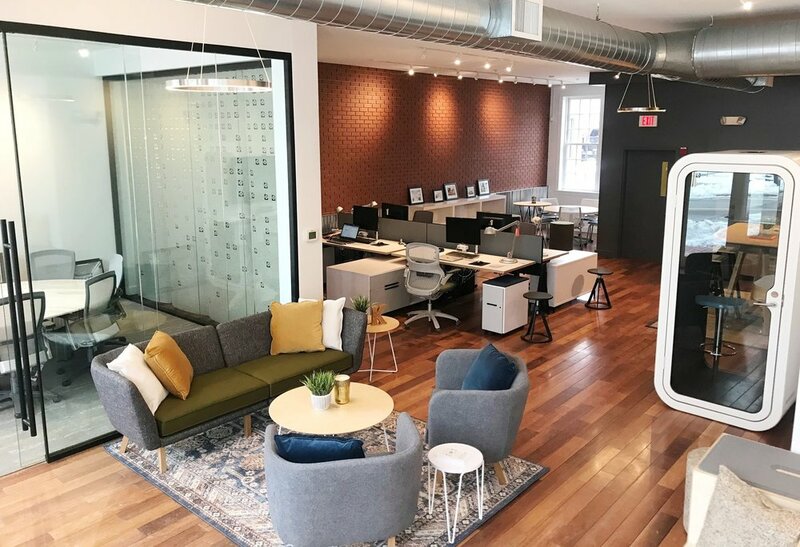 The new showroom is the fifth location for Office Resources, who has established offices in Boston, MA, New York, NY, Portland, ME and Shrewsbury, MA. To learn more about Office Resources, visit www.ori.com.